Advancements in health care are changing how diseases are prevented, monitored, managed and treated. As technology continues to make headway in better disease prevention and treatment, the efficient safekeeping, access/retrieval and analysis of enormous amounts of data are equally becoming critical in enhancing overall quality of life. Individuals and organizations handling patient information, medical records and health research data should make sure that these are all secure, protected and reliable. Choosing the right storage device that can meet the current as well as future requirements of the exacting health care industry is truly life-changing. Health care applications demand very high standards for safety and reliability. They need to address such issues as patient privacy and rigid regulatory compliances. 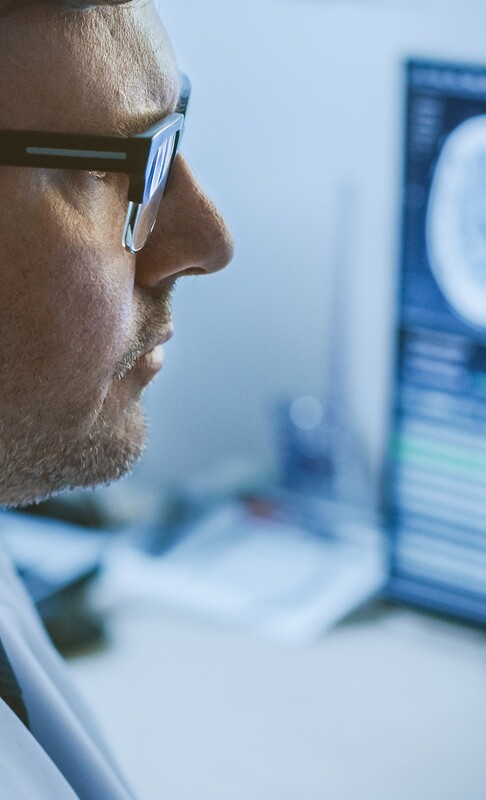 Technology in the medical field should be fast, accurate, reliable and interoperable with connected devices to improve the quality of patient care and avoid or minimize medical errors. Additionally, health care applications require prompt access to and retrieval of patients’ historical medical records so medical practitioners can provide the best treatment at the most opportune time, especially in critical moments when even milliseconds matter in saving a person’s life. Maximum uptime is very important in health care applications, as medical practitioners rely on precise and up-to-date information to deliver the best patient care. Data integrity should also remain intact within extended periods of time, especially in cases where tracking one's medical history is crucial in emergency cases or prolonged disease management and treatment. ATP memory and flash storage products are painstakingly tested and validated from the most basic components — the integrated circuits (IC) — up to module and drive level to ensure total reliability. In situations where time and safety are of critical importance, medical staff as well as patients can rest assured that the most important information is available when it is needed most. Data storage requirements are expected to steadily increase as the Internet of Things (IoT) becomes pervasive in the health care industry. Medical equipment, mobile devices, wearables equipped with sensors constantly gather data that needs to be stored and analyzed. ATP memory and flash products are ready for the explosive volumes of data being generated by the IoT. Offered in various form factors, capacities and technologies, these devices ensure accelerated computing, ample storage and future-ready scalability. Industrial DRAM modules come in different generations supporting the latest as well as legacy platforms for seamless integration and interoperability. Embedded or removable NAND flash products are ideal for the rigorous operation of medical devices due to their sturdy and compact design, reliable performance and extreme endurance. State-of-the-art equipment are used to visualize what is inside the human body with the aim of performing clinical analysis and determining the appropriate medical interventions. Due to the exacting demands for data accuracy, security and durability of such facilities, purchasing decisions for data storage, backup and recovery should not only be based on size or capacity and price. It is important to go with an industrial-focused manufacturer with a proven track record in producing high-quality, high-performance and high-reliability products. Bedside infotainment systems combine display and communication technologies to provide not only enjoyment and comfort for the patient but also to enhance interaction between the patient and the physician and other medical staff. Integrated with health information technologies, bedside infotainment systems become valuable clinical tools for delivering enhanced patient care. Health wearables such as smart watches provide health monitoring to track vital signs such as blood pressure and heart rate. Fitness trackers measure steps taken, floors climbed, calories burned and more. Data collected is used to personalize health and fitness programs and even detect risks for certain diseases. Wearable devices are typically small but generate data continuously and as such, require data storage solutions that are physically small but can hold enormous amounts of data. Data is generated each time a patient engages the health care system — a visit to a physician, a confinement, a diagnostic procedure a prescription. Data collected is used for administrative, billing or claims purposes and may also be used to improve health care services and benefits.